On May 10, 2016, at 10:45 pm, the El Dorado County Sheriff’s Office responded to a 911 call reporting a person had been shot at a house in the 3000 block of Montclair Road in Cameron Park. Several more 911 calls were received from different residents in the area, advising of a possible domestic disturbance in the same house, describing screaming, glass breaking, and possibly gunfire. Numerous Deputies responded to the area and contacted several involved adults and children at both the described house and at a neighboring residence. It was quickly determined there had been a domestic violence incident at the described house, where a knife had been used by the suspect against the victim. Further investigation determined no one had been shot. The suspect had fled his house and had broken into the neighbor’s house where he was confronted by the armed homeowner, who held the suspect at gunpoint until the arrival of the Deputies. 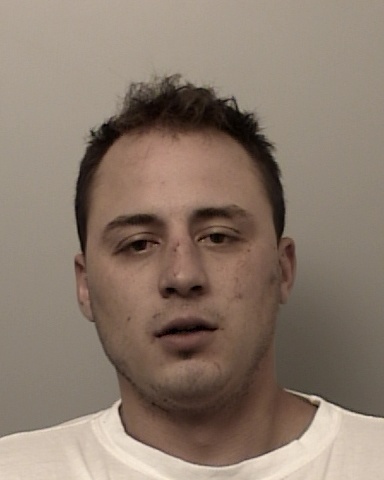 At the conclusion of the investigation, Sheriff’s Deputies arrested 25 year old Casey James Schumacher on charges of Inflicting Corporal Injury to Spouse, Assault with a Deadly Weapon, felony vandalism, false imprisonment, and criminal trespassing. Schumacher was booked into the County Jail without incident and he is currently in custody on $500,000 bail.